America has gone mad for Downton Abbey. And now the country's appetite for all things Downton can be sated. For the first time, a major exhibition of the costumes from the BBC program can be seen in the United States at Winterthur Museum. America has gone mad for Downton Abbey. And now the country's appetite for all things Downton can be sated. 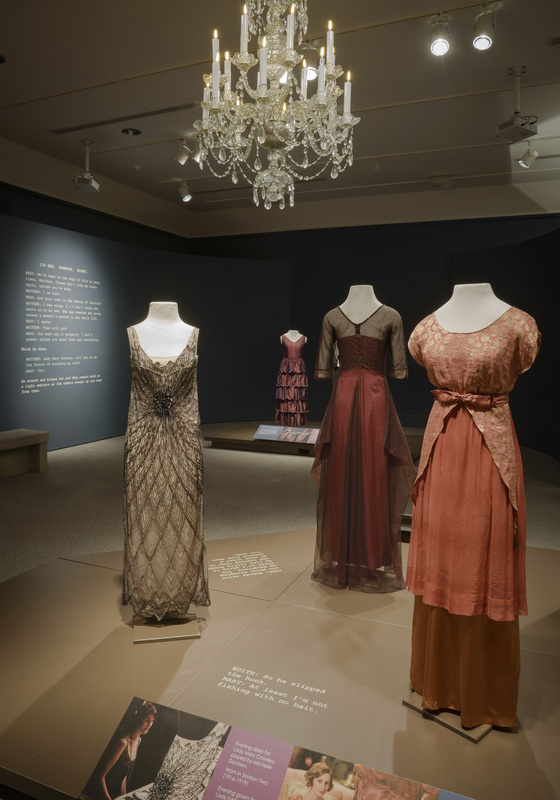 For the first time, a major exhibition of the costumes from the BBC program can be seen in the United States at Winterthur Museum, Garden and Library, a 1,000-acre estate that belonged to American aristocrat Henry Francis du Pont. 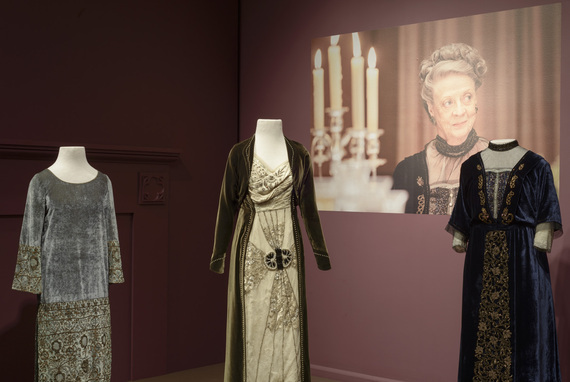 "Costumes of Downton Abbey" is an original exhibition of 40 costumes on loan from London-based Cospro, the world's leading suppler of costumes for film, TV and theater. Maggie Lidz, one of the three curators from Winterthur who worked on this exhibition, traveled to London to collect the costumes. While the costumes belonging to the "upstairs" actors were labeled, preserved and catalogued among the thousands of costumes at Cospro, the "downstairs," servant's clothing proved more difficult to secure. "Like in life, the things that are saved are those worn by the wealthiest," says Lidz, who was given free reign by Cospro to trawl their stash. To assemble some servants' outfits, she had to dig out an apron from one bin, a black dress from a rack and shoes from another corner of the warehouse. By studying photographic stills from Downton Abbey, she was able to reunite dozens of pieces belonging to characters like Bates, Anna and Mrs. Pattimore. The curators have grouped the costumes in a smart, forward-thinking way. The exhibit begins in early morning in the servant's cellar and weaves visitors through the day pausing for servant tasks, like shoe shining and Grantham family activities, like garden strolls and heath stalks. It concludes in evening with the cast's most spectacular formal wear, like Lady Rose's beaded flapper dress. 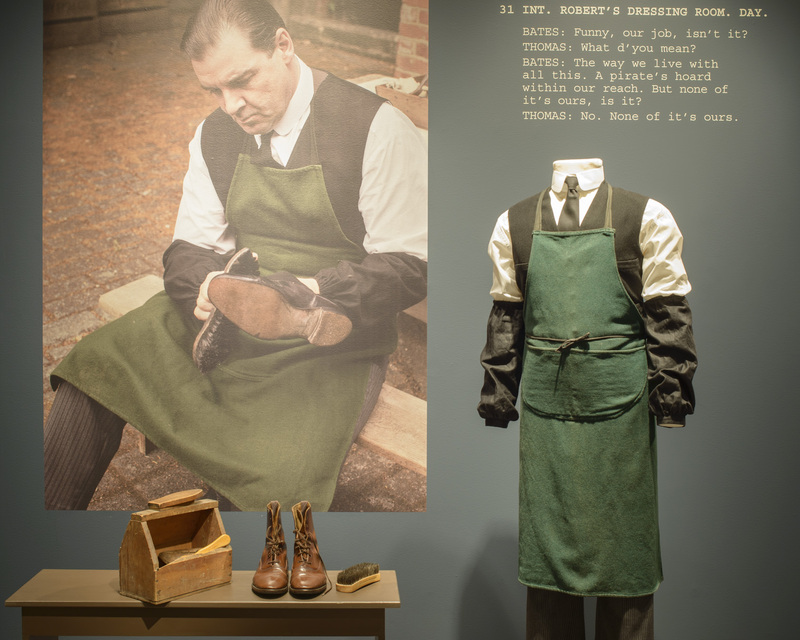 All of the costumes are put into theatrical and historic context through the use of video, photographs and antiques. After visiting this one-of-a-kind exhibit, it's all but impossible to ignore the lure of a tour of Winterthur, the 175-room mansion that's a treasure trove of American antiques, one of the world's largest with nearly 100,000 objects dating from 1640 to 1860. Henry Francis du Pont so loved these objects that he didn't simply collect; he lived with these pieces in every room of his house from the formal dining room to the library to guest rooms. In fact, du Pont was so keen about preserving American arts and workmanship that he had facades of entire historic buildings moved inside his home. 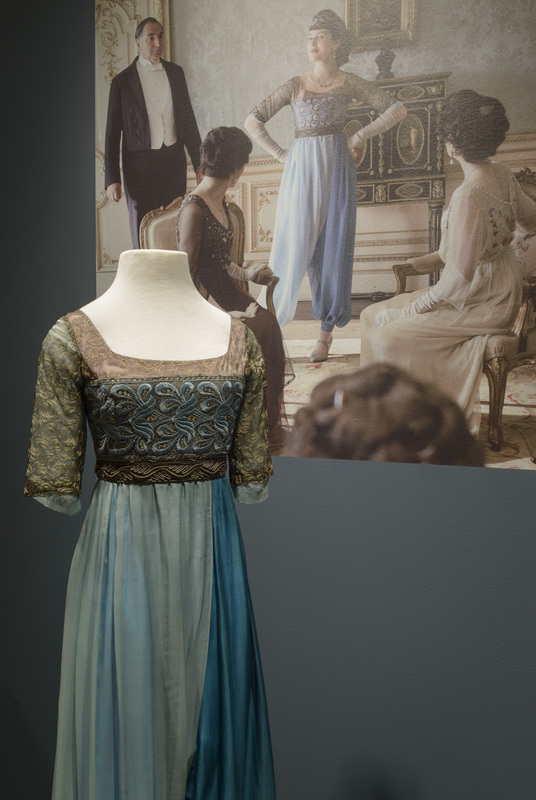 Winterthur has worked diligently to give visitors a deeper understanding of the similarities and differences between aristocratic families in England and American in the early part of the 20th century. Shirley Maclaine's character, the progressive American heiress Martha Levinson, often taunts her daughter's mother-in-law, an old school dowager played by Dame Maggie Smith, for her very English brand of formality and tradition. It turns out that this social divide in both style and substance is rooted in fact. American sensibilities of the time prized the modern and mechanical. Like most of their American counterparts, the du Ponts were on the cutting edge of new technology, ever embracing that latest equipment and gadgets that would make life easier from electric servant bells to refrigeration, whilst the English manor house, much like Downton, were much slower to modernize. Although visitors can't spend the night at Winterthur, they can do next best thing by booking a room at the gracious Hotel du Pont, which is a 10-minute car ride away in downtown Wilmington, Delaware. Built in 1913, the hotel is defined by old-world grandeur. The lobby ceiling is carved from wood and painted with gold and hotel's acclaimed restaurant, The Green Room, may just have the most beautiful dining room in America. A meal as humble as breakfast becomes Downton-worthy thanks to the lush surroundings and impeccable service, which give guests a taste of the aristocratic life.